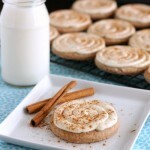 Brown Sugar Pecan Sugar Cookies - Dessert Now, Dinner Later! *Ad – This is a sponsored conversation written by me on behalf of Crisco®. Thanks for supporting the brands that make Dessert Now Dinner Later possible. 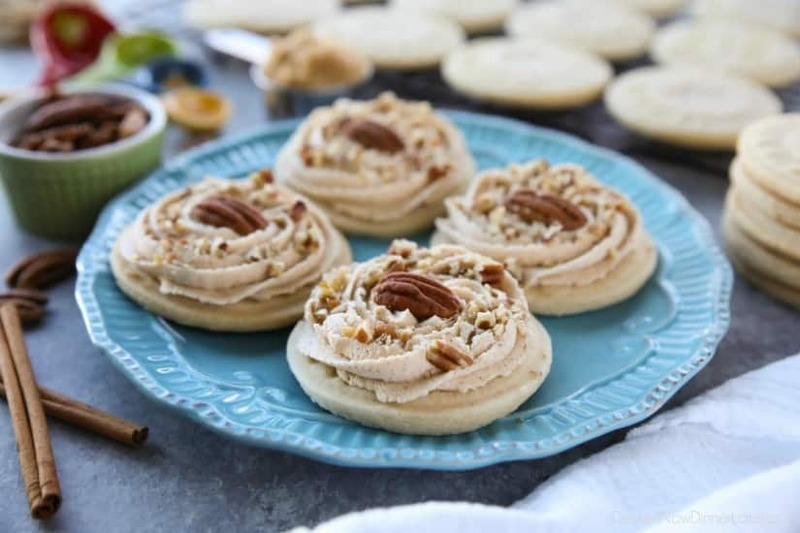 Brown Sugar Pecan Sugar Cookies are made with a classic sugar cookie base and topped with a brown sugar frosting and crunchy toasted pecans. With the holidays rapidly approaching, I can’t help but whip up tasty treats. Baking has always been a fond memory I have from my childhood. It’s where my passion for food came from — baking with mom all day before Thanksgiving or Christmas. There’s just something about the smell of fresh baked goods from the oven that makes the holidays so special. When I think of holiday flavors, I immediately think of brown sugar, molasses, spices, and nuts. 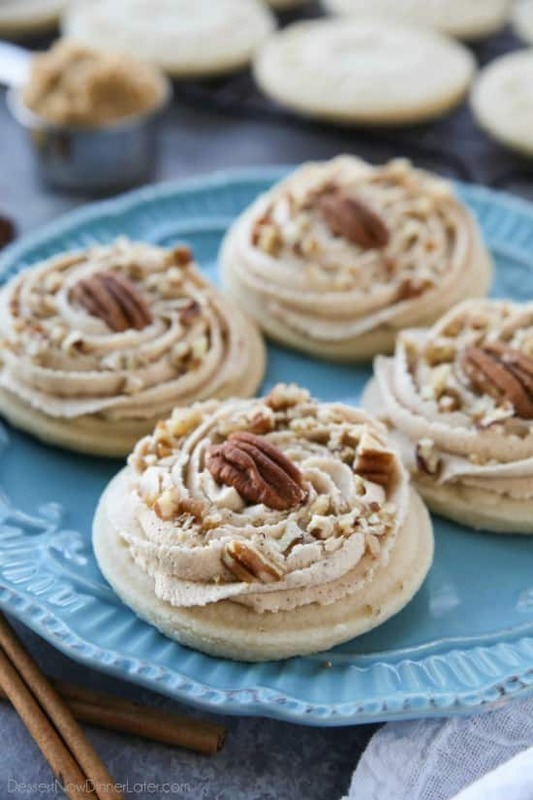 And these Brown Sugar Pecan Sugar Cookies are inspired by those warm, inviting flavors. For this recipe, I participated in the Crisco® Bake It Better Challenge. 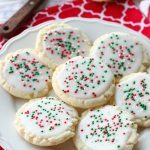 Using the same sugar cookie recipe, I tested Crisco versus butter and let me tell you how it went. 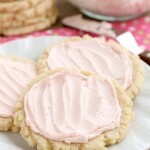 The Crisco sugar cookies were visibly thicker and kept the shape of some fun cookie stamps that I used. The butter ones didn’t rise much at all and the stamp faded quite a bit. 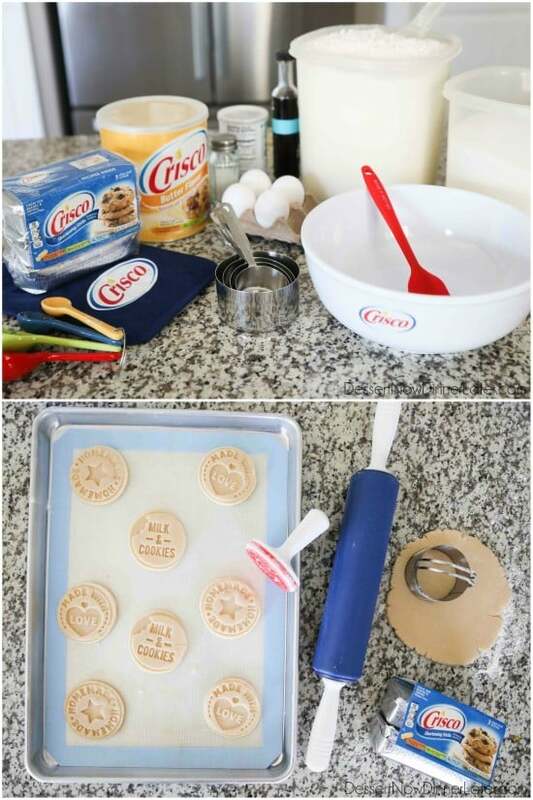 The Crisco cookies had a light-texture and were airy, compared to the denser butter cookies. Side-by-side, you can see that Crisco cookies are noticeably better than the butter ones. Shortening is such a great substitute in many baked goods. Since it can be stored at room temperature, it is ready-to-go, saving you time and effort. I especially love the Crisco All-Vegetable Shortening Baking Sticks. They’re each one cup so convenient! 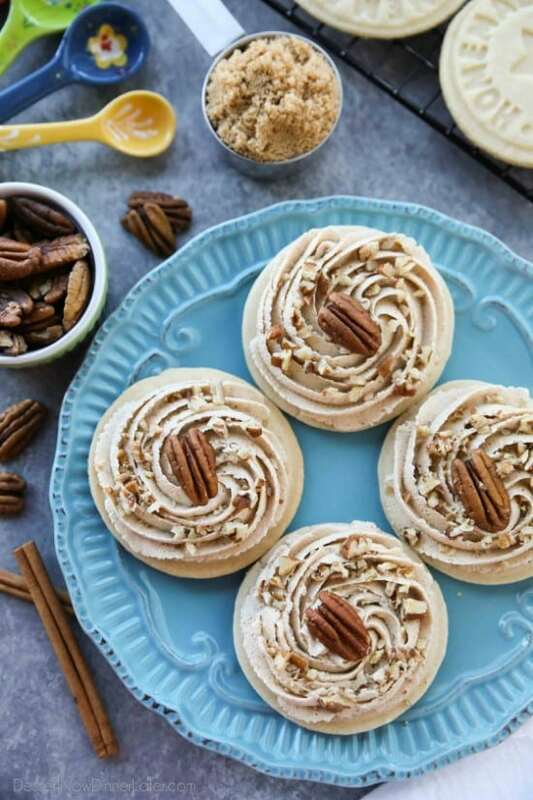 After I nailed the sugar cookies, I topped them with a brown sugar frosting and toasted pecans for a tasty new holiday treat. 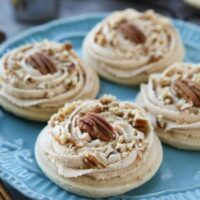 These Brown Sugar Pecan Sugar Cookies are great to share with family and friends. Everyone who tried these were definitely happy about them. I hope you enjoy them too! 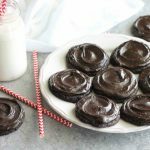 Try the Crisco® Bake It Better Challenge yourself by re-creating your favorite holiday treats using shortening instead of butter, and share your creations on social media using the hashtag #BakeItBetter. Divide dough in half. 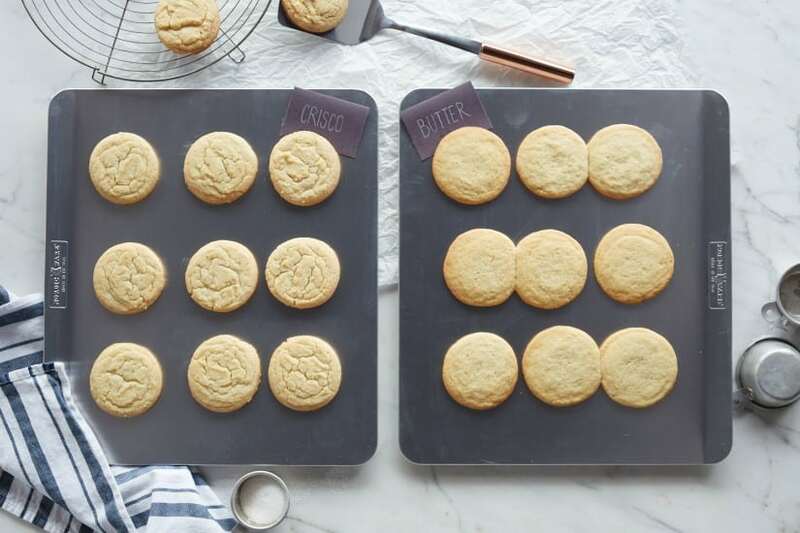 Roll out each half on a lightly floured surface 1/4-inch thick for crisp cookies, or 3/8-inch thick for softer cookies. Cut with 2 to 3-inch cookie cutters. Place 2-inches apart on a parchment/silicone lined baking sheet. Bake for 8-9 minutes, until edges are just starting to brown. Remove from oven. Rest on cookie sheet for 1-2 minutes, then and transfer to a cooling rack. FOR THE FROSTING: With an electric hand mixer, cream the shortening, brown sugar, cinnamon, and vanilla in a large bowl. Gradually add powdered sugar while mixing. Add milk 1 Tbsp at a time until desired consistency. TOAST PECANS in a saute pan over medium-high heat until fragrant, about 2-5 minutes, stirring continually. Cool and chop half of the mixture. Pipe or spread frosting on top of the cooled cookies. Place one whole pecan on top in the center of the frosting, followed by sprinkling a few chopped nuts. Store in an airtight container at room temperature.